INNOVIP WILL SUPPLY INSULATING PANELS WITH DIFFERENT FUNCTIONALITIES – TECNAN-NANOMAT "Think big, Act Nano"
The INNOVIP project will reinvent the vacuum insulation panels (VIP) by improving their thermal performance by at least 25% over their entire useful life and making them also adjustable, mountable and machinable. One of the most innovative points of this project is the union of different coating panels with different functionalities that can be adjusted according to the application to be addressed, for example, photocatalytic elimination of VOCs from indoor and outdoor air, anti-mold coating, humidity damping or heat blocking in summer. 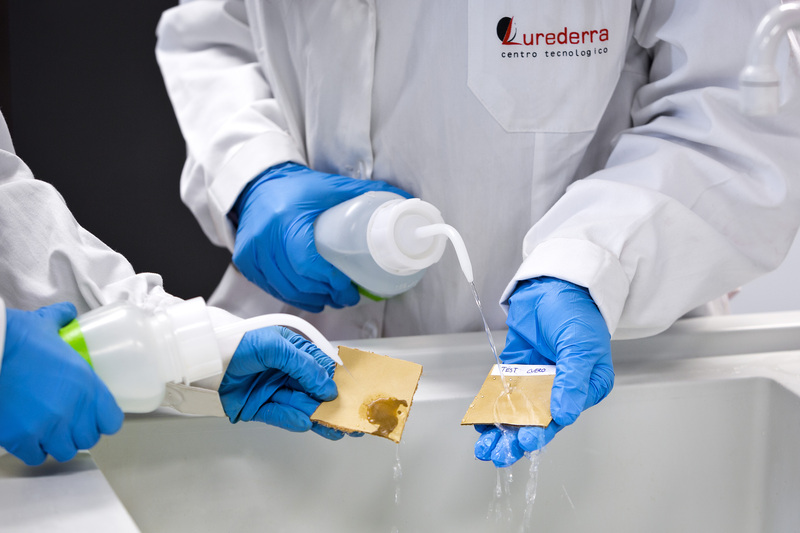 Tecnan will shortly begin the applications of the nano-coatings developed by Lurederra on a laboratory scale in order to establish an accurate way of providing the cover layers with the different functionalities chosen in the previous tasks. In addition, once the nano-coatings are validated at a laboratory scale, Tecnan will begin to upscale the production with the support of the background that Lurederra has harvested during this first year of the project. This research, which is facing its second year of development, has achieved so far good results in preliminary tests. The consortium of the project consists of 13 partners: Forschunginstitut für Wärmeschutz e.V. (FIW), va-Q-tec AG (VQT), Avery Dennison (AVE), Nordisk Perlite ApS (NDK), Centro Tecnológico Lurederra (LUR), Soprema (SOP), Mostostal Warszawa S.A. (MOS), Laboratoire National de métrologie et d’Essais (LNE), Fraunhofer Institute for Process Engineering and Packaging (IVV), Institute for Research and Technological development in Construction Sciences (ITE), Oxford Brookes University (OBU), Bavarian Research Alliance GmbH (BayFOR), and Tecnología Navarra de Nanoproductos S.L. (TEC). This project has received funding from the European Union’s Horizon 2020 research and innovation programme under grant agreement No 723441.